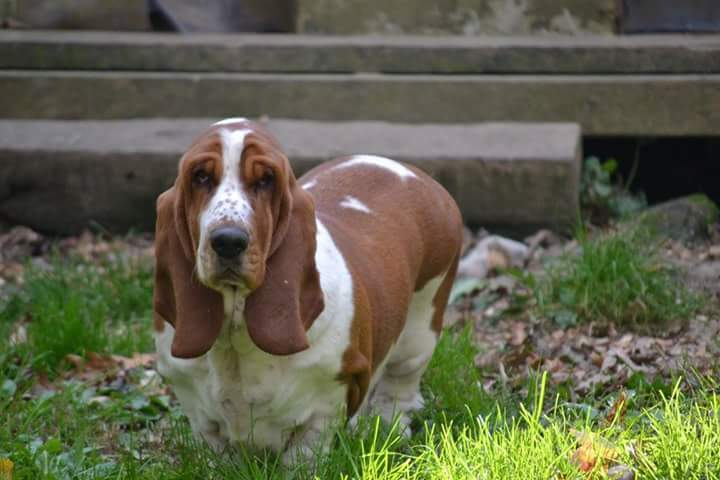 Highnotes Perfectly Pumpkin has come to join us from VA. We are super excited to have her here at Mountaineer Basset Hounds. She has blended right in with the rest of the pack. 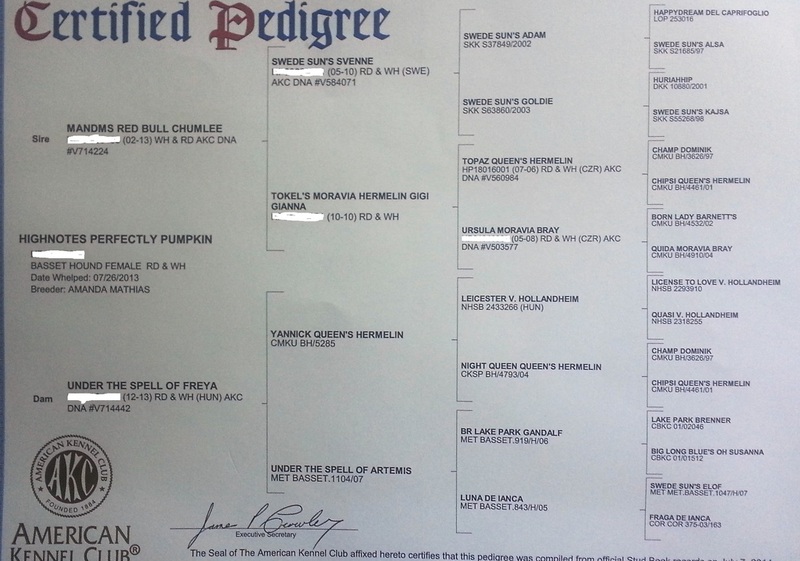 Pumpkin has a GREAT pedigree. She is 3/4 European and a 1/4 Brazilian. She is a very sweet girl who loves some major belly rubbing time!! 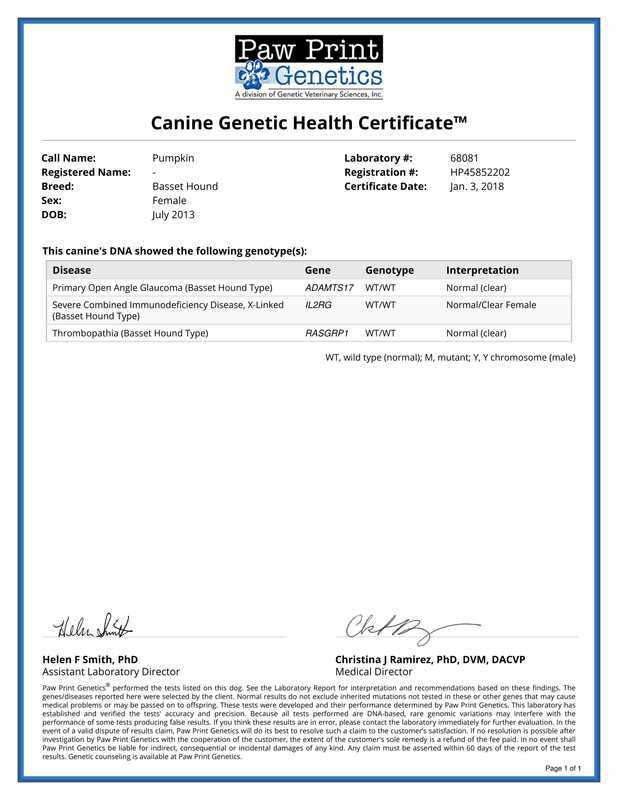 We are excited to add her to our breeding program. 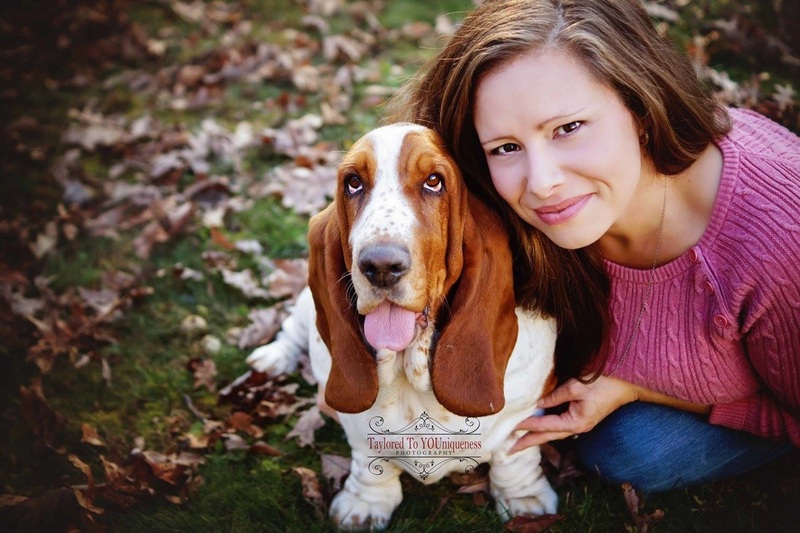 She has had several beautiful litters and is a wonderful Momma! ​Stay tuned for more pictures of this beautiful girl!! !